"I had tried a lot of products over the years to have decent skin but nothing worked. It was so disappointing and frustrating . But finally I got a product that worked. I've been using Tahitian Noni Skin Supplement a little over a month now and my skin is looking wonderful, no puffiness and no break-outs. I just can't believe it, I've got so many compliments from my friends and family. My skin has never looked this great ever! After so many years I have finally found the answer. I would love to say I will stay with Skin Supplement forever and just want to thank you so much for being there for me and for other people like me who really think there isn't any help out there." Skin Supplement delivers the healing, protecting benefits of Noni juice and Tahitian Noni® Essential Oil in a light, smooth cream that penetrates, hydrates, and thoroughly nourishes the skin. This easily-absorbed lotion pampers your skin with Noni seed oil, a singular ingredient found only in Tahitian Noni® products. Your whole family will enjoy the neutral scent and incredible results. See more Tahitian Noni® Personal Care Products. Look and feel great with Tahitian Noni® Personal Care products. The complete beauty and bath product line cleanses, tones, nourishes and beautifies your skin with the visible effects of Noni and exclusive Tahitian Noni® complexes. Beautify your skin with Skin Supplement Original lotion! Our natural soaps are the perfect indulgence. The oatmeal formula is loved by customers worldwide and is perfect for the entire family. You’ll also love our new soap varieties. Each blend harnesses a different Tahitian secret for gleaming, ultra-soft skin. Provides gentle exfoliation. Enjoy Tahitian Noni Oatmeal Soap in a two-bar pack with bigger, longer-lasting bars! 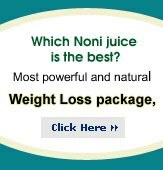 Noni Juice: Provides antioxidants and helps purify skin. Oatmeal: Gently exfoliates skin leaving it smooth and polished. Aloe Leaf Juice: Soothes and nourishes all skin types. Why Tahitian Noni products are so unique? What are the most popular Personal Care Products from Tahitian Noni? Tahitian Noni® Skin Supplement, Bath & Shower Gel, Oatmeal Soap and Lip Balm are the most popular products in the Personal Care Product line. At Tahitian Noni International we focus on building the health of your skin. Natural beauty will follow. The positive results of our Tahitian secrets will help build the long term health and beauty of your skin. Look Younger everyday with Tahitian Noni Personal Care Products.